A stunning greetings card of the iconic 'Windows in the West' painting by Avril Paton. 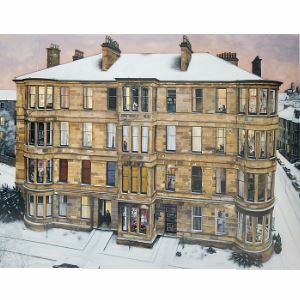 Share a small bit of Glasgow life with this card featuring of the iconic painting depicting tenement life. Presented with a matching white envelope, this reproduction is printed with exceptional detail and on high quality card. Blank inside and suitable for any occasion.